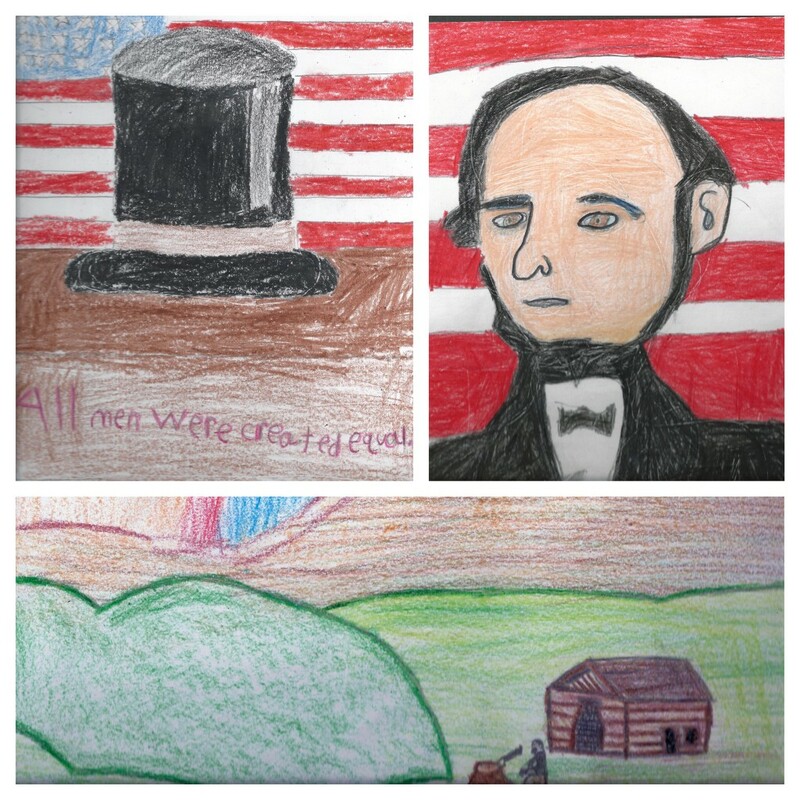 Elementary Art Show | Lincoln Days Celebration, Inc.
Visit downtown Hodgenville, Kentucky and enjoy pieces of original artwork created by students from Hodgenville Elementary School and Abraham Lincoln Elementary School. Each year, LaRue County public school students take out their crayons, markers, pencils (and erasers) and create vivid imagery depicting key moments in the president’s life. Lincoln was born in a small cabin on the outskirts of Hodgenville in 1809. For 47 consecutive years the festival has celebrated his life and legacy in a variety of unique and interesting ways. We invite you to visit Hodgenville and enjoy our student’s artwork while strolling through a historic, downtown district that features shopping, dining, a museum, and a variety of professional services. Lincoln Days would like to thank LaRue County Public Schools and art teachers Emily Detre and Cara Howell for encouraging their students to participate in our festival.